Let 1st Impressions deliver one of our fun, decorative or luxury gift items! We create dazzling presentations that are sure to please for any gift-giving occasion. 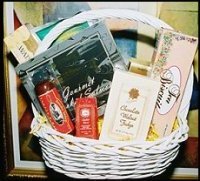 CALL (910) 764-1877 to include an add-on gift with your floral order or to send one of our wonderful Gift Baskets, Gourmet Food Baskets or Gift Items today! Gift baskets of gourmet snacks and fresh fruits are always in style and are appropriate for almost any occasion, any time of year! Need a gift for a "hard-to-please" person on your list? 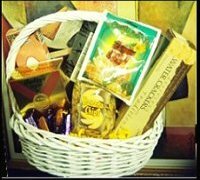 We can take your special requests and design a custom basket filled with gift items or food and snack favorites ~ personalized especially for your friend or loved one. Accent your basket with delectable items such as cheese, sausage and crackers, or sweeten things up with rich chocolates, cookies and candies. CALL (910) 764-1877 to send a special gift today!